Carpet stains are inevitable in every home. Examples of carpet stains include blood stains, coffee spills, shoe stains, pet messes, wine stain, and lots more. 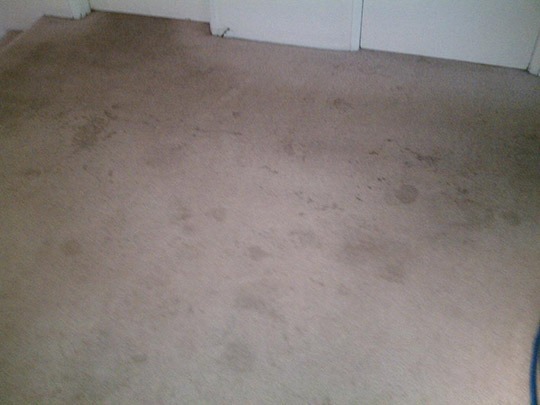 The way these stains are dealt with can help to avoid these carpets from getting spoilt. Instead of allowing the carpet stains to compromise the beautiful appearance the carpet offers, why not take a deep breath and follow our guide on how to clean carpet stains. Carpet stains can be cleaned in several ways, depending on the type of stain. It’s beneficial to know how to clean the most common carpet stains, including coffee spills, blood stains, pet stains, and ink stains. If not treated properly, coffee stains can leave your carpet filthy. Follow these simple steps to effectively remove coffee stains from your carpet. Blot out the coffee stain by using a dry white towel. Make sure the stains are not spread to other parts of the carpet. There are stain-specific cleaners especially for this type of stain. Get one and carry out a patch test before applying it to the carpet. Prepare the mixture as directed, soak, blot, and then rinse with warm water. Repe, at the routine until the stain disappears. Cleaning blood stains requires quick attention and safety precautions such as the use of hand gloves, respirator, and goggles may be needed. Blot out the excess blood stain with a white towel and sponge with cold water to prevent it from permeating into the carpet fibres. Mix a liquid dish detergent with cold water in a bottle and then spray it on the stain. Moisten the stained area and blot out with the towel. Remove the detergent by rinsing with cold water. Apply a mixture of water (40%) and vinegar (60%) to the spot and repeat the process until the stain disappears. Pets can contribute to the unexpected stains on your carpets. The following processes on how to clean carpet stains will remove your pet stains easily. Clean off the initial stain or moisten it if it’s already dry. Blot repeatedly with carpet stain cleaning products that are specifically formulated for pet stains. A mixture of vinegar and water can also be used to moisten and then blot out the stains. Many of the cleaning agents mentioned are household chemicals and cleaners that are easily obtained. Professionals use a variety of techniques to clean carpet stains. For expert help on how to clean carpet stains, do not hesitate to call Sun Dry Carpet Cleaning & Pest Control Brisbane.